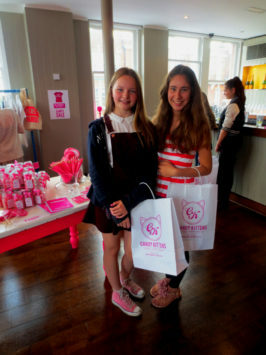 Teen girls queued up at Beaufort House Chelsea to visit the Candy Kitten pop-up store, but most of all to get a glimpse of the brand’s founder Jamie Laing. Having a free day from school seemed the perfect opportunity to meet a Made in Chelsea star. 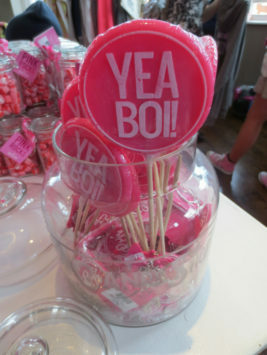 It was all giggles and hormones at the store, which was in perfect harmony with the sweet, pink and young items on sale. Made in Chelsea fans Mary (14) and Lucy (15) came all the way from Essex to buy some goodies and to get their photo taken with the reality star. Lucy: “The brand is really nice and the candy just looks yummy. We know Candy Kittens because we always watch Made in Chelsea.” Mary: “We love to see their world because it’s so different from ours. 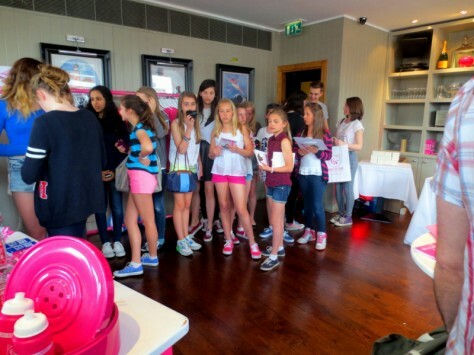 They’re millionaires with glamorous lifestyles.” This youthful fascination for the high profile lives of the Chelsea boys and girls seems to be the foundation of Candy Kitten’s success. That’s why Laing can easily get away with decorating his shirts with slogans he often uses in the show, like “Yea Boi” and “Pardy Pardy”. 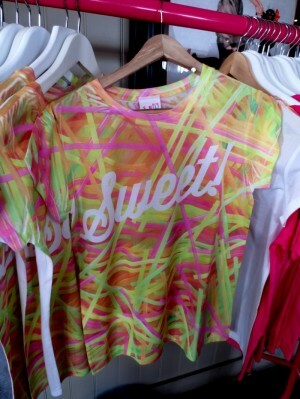 Our favourite item was the “Sweet” shirt, that was part of the new Candy Kitten collection and we saw in both the men and women collection. The colours, straws and typography are all together a clear image of what Candy Kitten stands for – to be a brand that is “truly young at heart”. Candy Kitten was found in 2012 by Made in Chelsea star Jamie Laing. The reality show played a huge part in the launch of the brand and it has proven to be the best thinkable promotion. It started off as a clothing brand, but Candy Kittens recently expanded their collection with an obvious product – candy. As an attempt to “make candy cool again”, the brand’s main focus is fashionable packaging. Another important element is the Candy Kitten herself. The brand has a team of good looking girls, “the Candy Kittens”, to promote the clothes and candy. One of them is pictured above. The shirt she is wearing is a new item in the spring/summer ’13 collection. 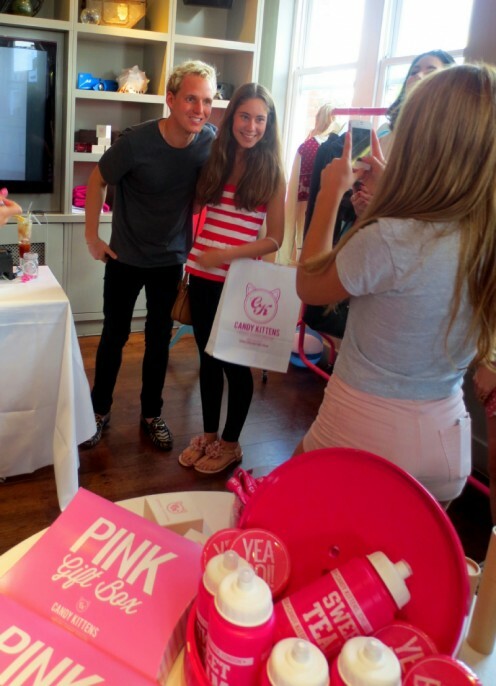 Candy Kittens has a summer full of pop-up stores scheduled. Click here for more info.